ST. GEORGE — Thirteen years ago, “Jekyll & Hyde: The Musical” opened to Southern Utah audiences as part of then-Dixie State College’s theater program. The production was under the direction of Varlo Davenport at the time. The production was successful and the show and cast were later invited to the Kennedy Center American College Theatre Festival to compete. “Jekyll & Hyde: The Musical” will return to St. George, at The State Door, with Davenport returning as director along with some of the original cast (Taylor Williams and Aaron Meadows). 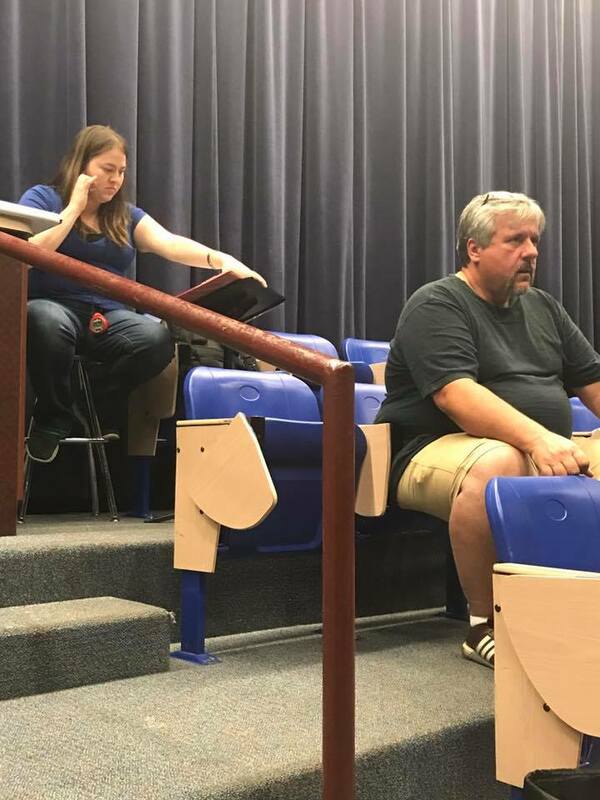 Dixie High School drama teacher Josh Scott will also be reunited with Davenport as he takes on the roles of artistic director and set and lighting designer for the show. Davenport said that despite the popularity and success of the 2004 production there was significant resistance on campus to contemporary material and an insistence that those kinds of shows were not what St. George wanted to see. Davenport said he has been heartened to watch the success of The Stage Door, as it has gone out of its way to produce contemporary musicals and prove there is an audience with a desire for new works and a willingness to embrace the unconventional. The Stage Door is providing much needed artistic leadership in the community, Davenport said, which is why he agreed to direct the production and do his part to help it be successful. The story of “Jekyll & Hyde” is an epic struggle between good and evil and is based on the classic story by Robert Louis Stevenson. It’s an evocative tale of two men – one, a doctor, passionate and romantic; the other, a terrifying madman – and two women – one, beautiful and trusting; the other, beautiful and trusting only herself. Both women are in love with the same man and both are unaware of his dark secret. The musical adaptation has a score of pop rock hits from multi-Grammy and Tony-nominated Frank Wildhorn and two-time Oscar- and Grammy-winning Leslie Bricusse. 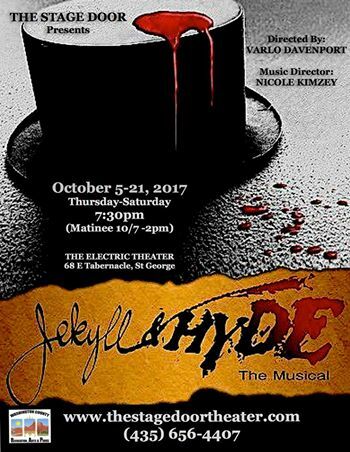 The Stage Door’s production of “Jekyll & Hyde: The Musical” will show Thursdays through Saturdays at 7:30 p.m. from Oct. 5 through 21. A Saturday matinee will be held Oct. 7 at 2 p.m.
Tickets are $18-$21 and can be purchased online or by calling 435-656-4407.